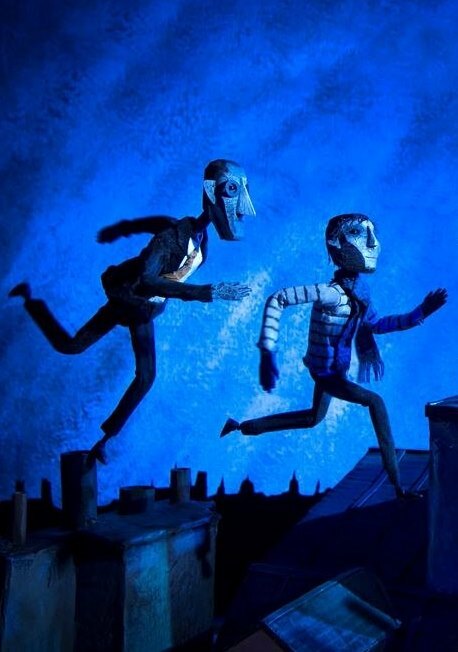 Ron & Russell puppet for the Sparks music video ‘Edith Piaf said it better than me’, directed by Joseph Wallace. The puppets were designed by Joseph. 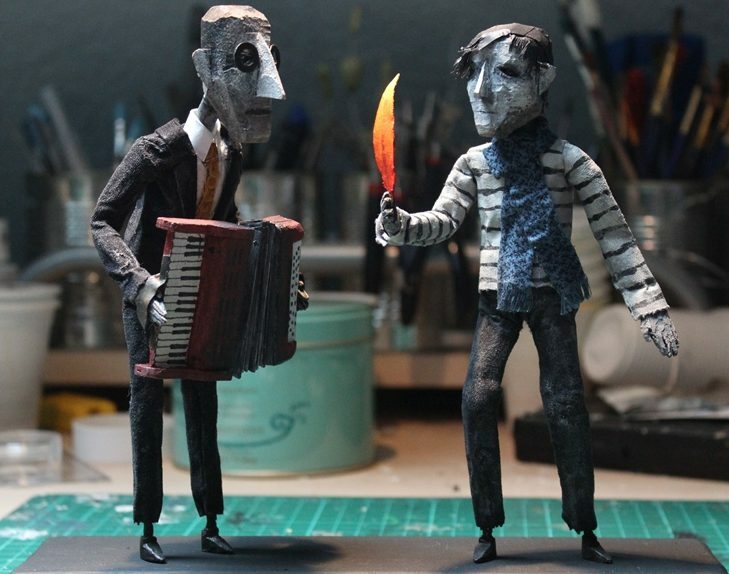 I built the armatures, bodies and costumes while Joseph made the heads, hands and final paint job. 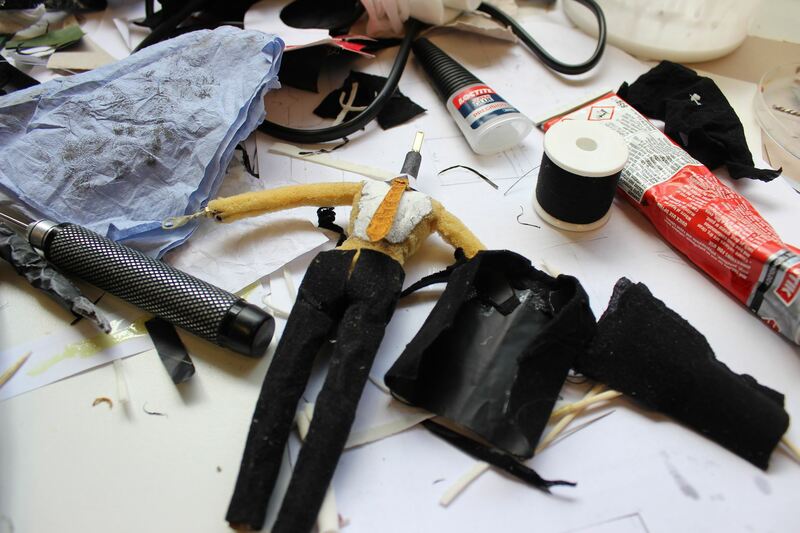 See the image gallery below for more pictures and details about the fabrication process of the puppets. 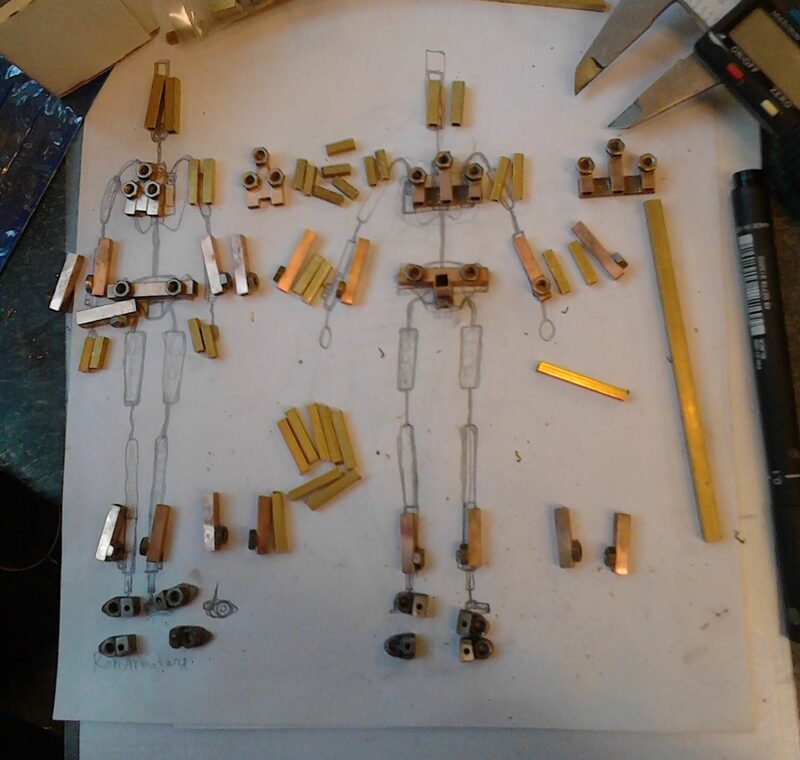 all K&S pieces and feet plates with tie downs for the four puppets laid out on scale drawings. K&S pieces on scale drawing. 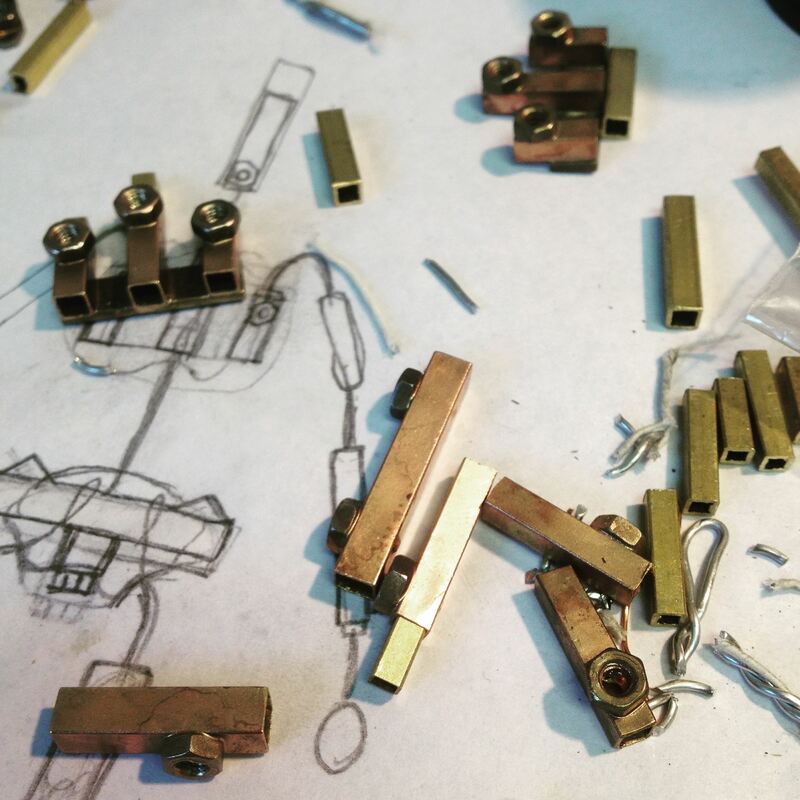 Torso and arm pieces have nuts for grab screw lock offs. 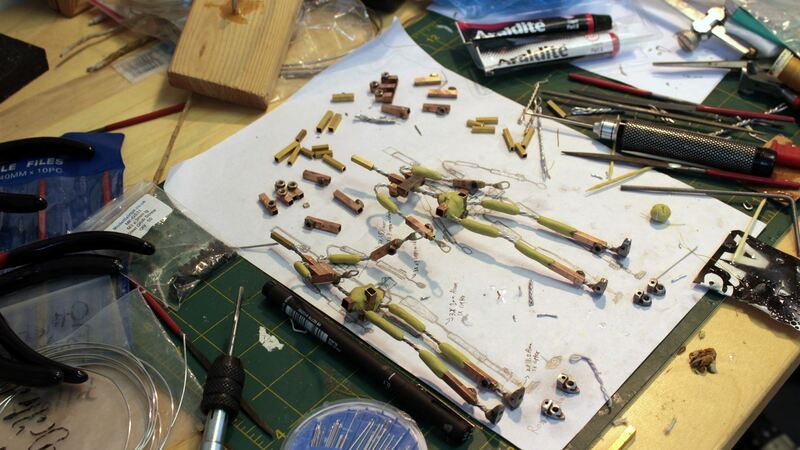 Armatures in progress, wire and milliput. 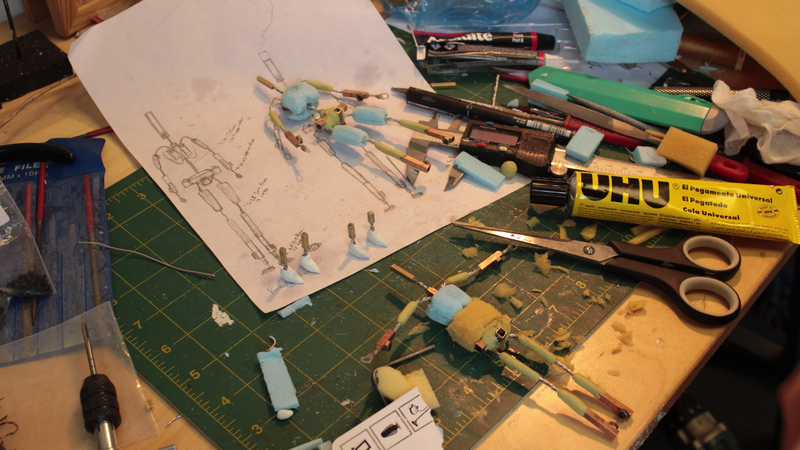 Armatures in progress, adding blue hard foam and soft cushion foam. 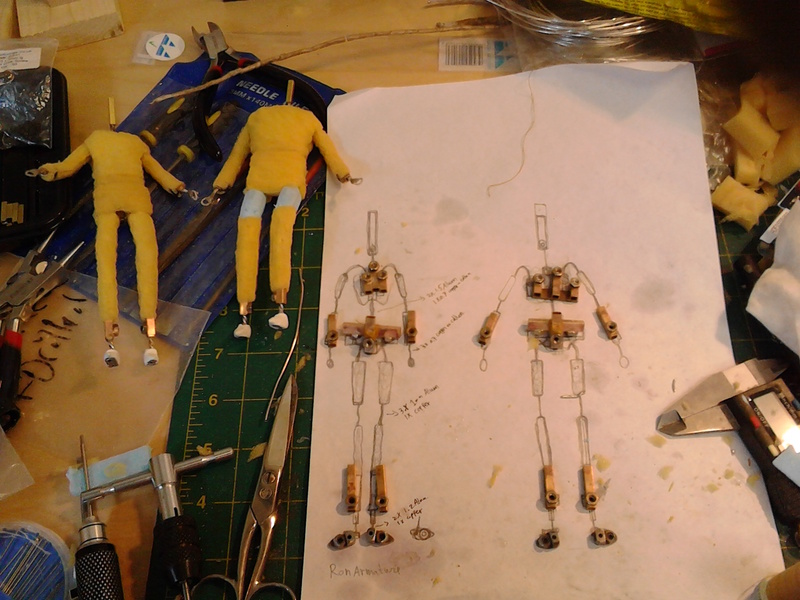 One set of puppets finished up to foam build up, pieces for 2nd Ron puppet ready to assemble. 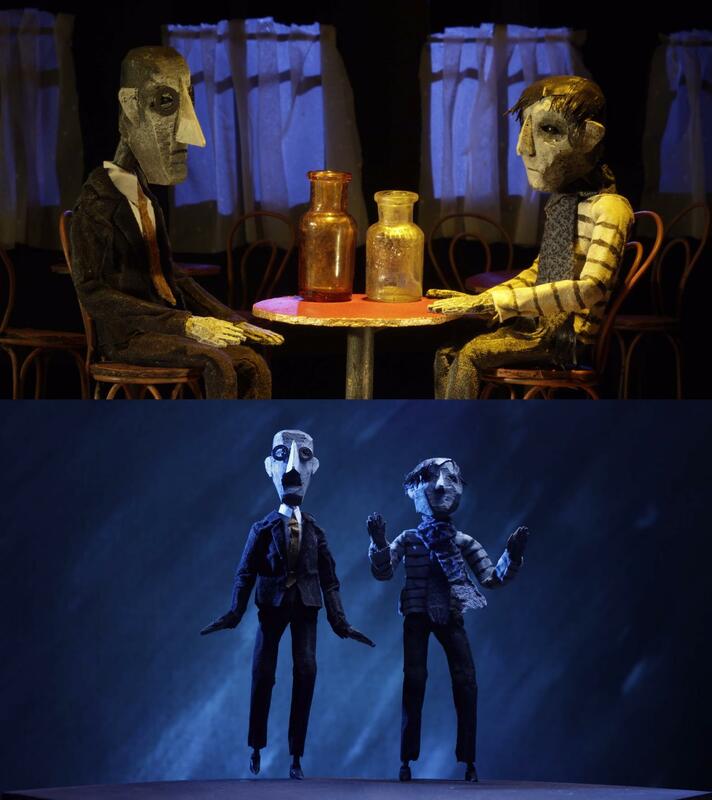 Ron’s costume in proress, trousers and coats made using black tights and blackwrap. 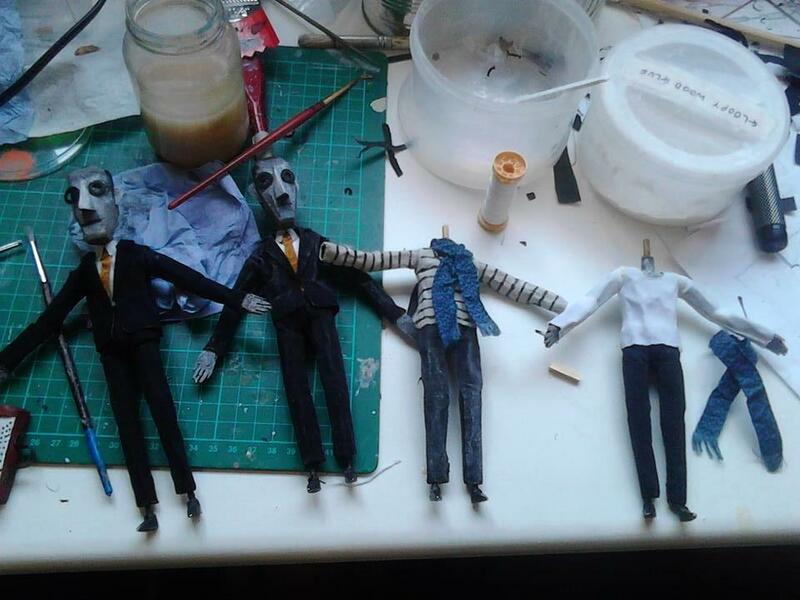 Puppets in progress. Two finished Ron Puppets, Russel costume finished before final painted details.